Brisbane needs to find its new identity as a New World City and if you have read the headlines recently, they better get a move on. There are massive changes happening from the CBD out to the Airport and our Skyline will be changed forever. But will Brisbane embrace and run with it or get left behind and miss a golden opportunity. If I could compare our Australian cities with our American cousins, I see Sydney being a bit like New York – both the biggest cities, while Melbourne could easily be a Chicago. So where does that leave Brisbane? 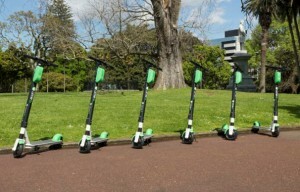 Here is why the humble Scooter may be the litmus test for Brisbane’s future. For me, this is an impressive concept and has been hugely popular with almost 50,000 trips in the two weeks since its launch. On one hand, it is obviously very convenient, given the take up rate. Users log on to an App to locate a Scooter close by, where they are charge $1 to unlock and then a further 30 cents per minute. Here is where it gets interesting…. 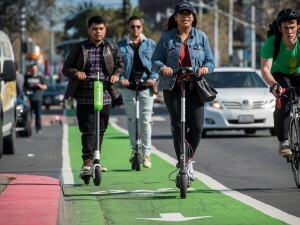 Each night and when batteries get flat, anybody can buy a docking charger from Limes, they can then collect scooters, charge the battery and replace it, before being remunerated by the company. So, it appears on the surface, to be a win, win situation! While there are many knockers of the humble Scooter, it is not the Scooters fault they are (very rarely) being driven on main roads and through tunnels. There clearly is a need to have laws and regulations associated with the new concept and mode of transport. But don’t let that stop progress. Funnily enough, this concept has originated in San Francisco, which is why I am suggesting Brisbane could establish a similar identity. Like San Francisco, Los Angeles is another city with a reputation for fast growing start-up companies, technology and progressive industries. Think Google and Apple or more recently Uber, all coming out of the West Coast of America. 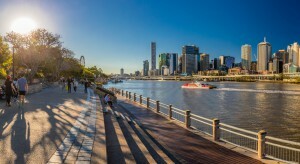 Brisbane has a massive opportunity to establish a reputation and identity as Australia’s most progressive City. By supporting concepts such as the humble scooter, it shows that they are open to new ideas and trends and in turn will attract similar industries. 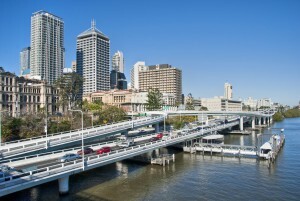 They will choose Brisbane as the cost of doing business is considerably less than our bigger capitals. At this stage we are only mid-way through a trial, but the Government should be working with local councils to support these concepts and workout the kinks to ensure we have rules and laws to make it a change for the better. If they knock these concepts back it puts a clear sign out to the market that Brisbane is closed to these ideas and that is a dangerous signal in an era of rapidly developing technological advances. Times of change are sweeping through Brisbane. Now is the time to embrace for Brisbane as a City to embrace change and encourage new technologies and concepts. I see this Scooter concept as a real opportunity for our Government and Councils to a turning point to be embraced. If it is adopted and embraced after the trial, it will send a global message that Brisbane is open for business and ready to embrace progressive ideas and technology. It will add even more buzz to a fast-developing City and bring a huge amount of interest and potential private enterprise to the Sunshine State. If it is not adopted, we may struggle to find a more modern identity as our City continually changes.